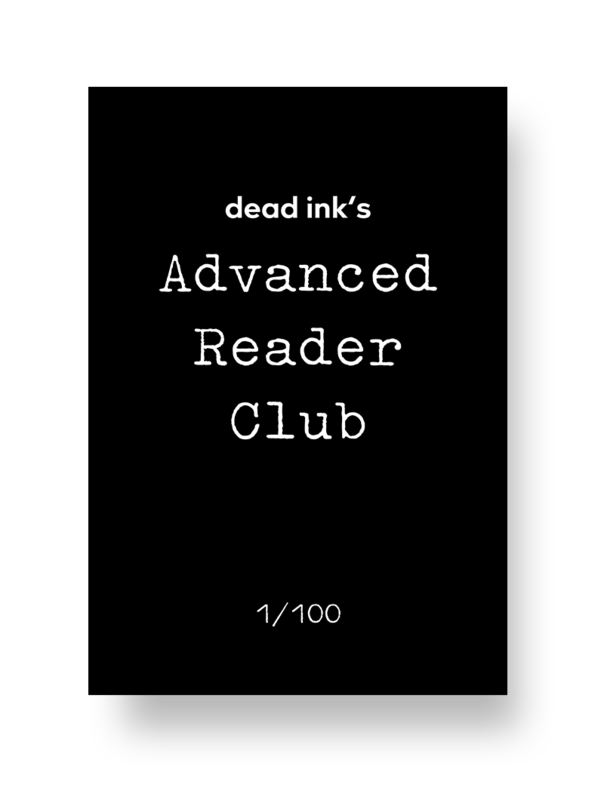 For the dedicated Dead Ink reader and indie press patron, the Advanced Reader Group is for those who want everything before everyone else and they want to know what others don’t. A secret literary clubhouse where you get your books way before they hit the shelves, then chat with others in our online book group, direct your questions to the author, and get the honest truth on how a book is made. More than all of that, you’ll be helping to support Dead Ink with your membership and giving us your thoughts on all of our books before they arrive with everyone else. Membership is limited to only 100 each year and once they’ve sold out there won’t be any more! Membership will be for 2019 and include Karen Havelin’s Please Read This Leaflet Carefully, Lucie McKnight Hardy’s Water Shall Refuse Them, and Lee Rourke’s Glitch. By supporting us with your membership you’ll be an integral part of keeping Dead Ink the coolest indie around. Each Dead Ink novel delivered to you at least 1 month ahead of publication. A 40% discount on all other Dead Ink titles through our web store. Free or discounted attendance at all Dead Ink events. Book group discussions with other members. Dead Ink team discussions with the editors. Q&As with the cover designers looking into their design process. Brand new unpublished content from the authors. Influence over where Dead Ink holds author events. You’ll also receive the Dead Ink 2019 tote bag. The coolest fashion accessory in publishing.